I said it once and I’ll say it again, I love my crock pot and all it can do. 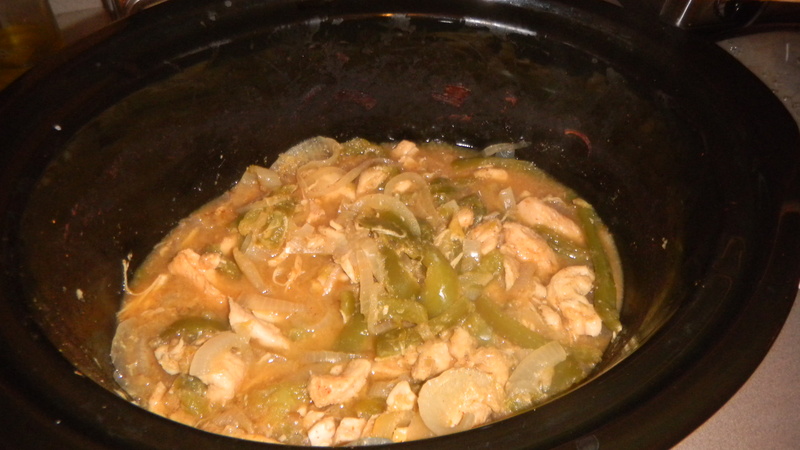 I’ve already used it to make chili and apple butter, but this time I tried out some chicken fajitas. Couldn’t have been easier. I started out with this recipe, then tweaked it. Ready for the directions? Put everything into your crock pot and let it cook. We cooked ours on high for about 4 hours, but this can definitely be done in the morning, be put on low, and let it sit for 8 hours. 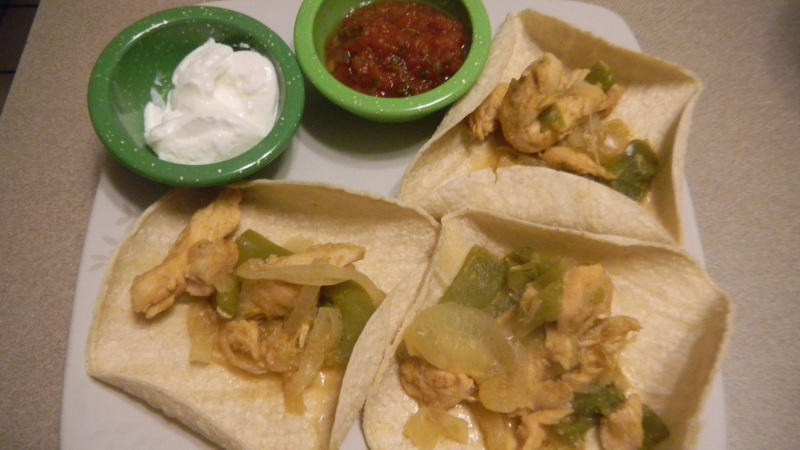 When done, put the mixture on tortilla shells and top with your favorite ingredients. I’m absolutely loving the little time and effort that goes in to making such a great meal. I agree, Jules! I should get a crock pot book of my own. I’ve been using that thing a ton lately – even today! Share any awesome recipes your mom makes with her new book!